Four boundary-pushing innovators converge in this collective quartet: saxophonist Oliver Lake, trumpeter Graham Haynes, bassist Joe Fonda, and drummer Barry Altschul. Roulette is proud to present this rare gathering of the four master musicians in a performance of original compositions created for and by each member of the collective. OGJB is a quartet comprised of four master musicians, joined into a collective to create a unique musical experience. Saxophonist and composer Oliver Lake‘s artistic vision remains daring, unique and uncompromising. From his role as founder of The Black Artist Group in 1968, he has immersed himself in the creation of art in all disciplines. As a longstanding and preeminent saxophonist in the progressive jazz scene, Oliver has thrived during his long and storied career. He continues to work with several brilliant and creative minds, such as his Organ Quartet and Big Band groups, the World Saxophone Quartet, OGJB, Tarbaby and notable collaborators such as Flux String Quartet, Myra Melford, Roscoe Mitchell, Vijay Iyer, Geri Allen, Meshell Ndegeocello and many others. Oliver has curated and participated in the City Of Asylum’s Jazz Poetry concerts for more than ten years. 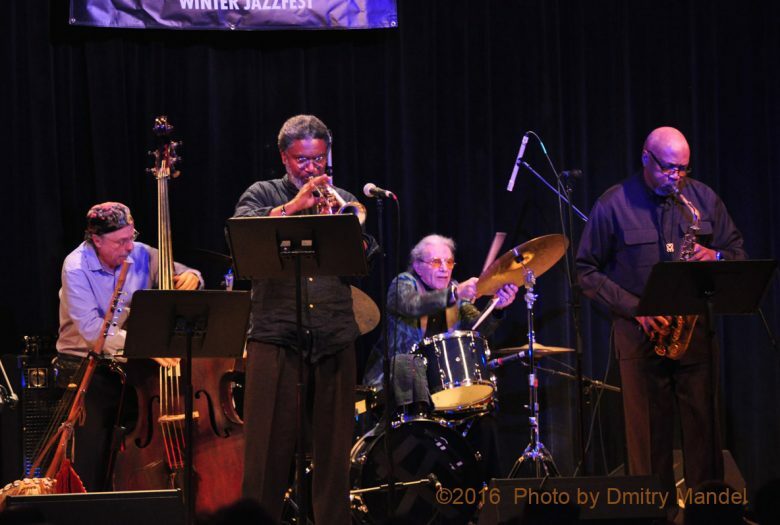 Lake has been a recipient of the prestigious Guggenheim Fellowship, has received commissions from the Library of Congress, and in 2006, was honored to receive the Mellon Jazz Living Legacy Award at the Kennedy Center. Most notably, Oliver was selected to receive the prestigious 2014 Doris Duke Artist Award. As such, the coming years promise to be exciting and filled with bold new artistic endeavors. Born in the south Bronx on the 6th of January 1943, drummer-composer Barry Altschul was quickly ensconced in the hard bop scene of the late 1950s and 60s. But it was a gig with pianist Paul Bley’s trio that put him amongst the ranks in the New York’s burgeoning free jazz scene of the next decade. This resulted in world tours and recordings with such notables as Steve Swallow, Gary Peacock, the Jazz Composers’ Guild Orchestra, Steve Lacy, Roswell Rudd, and many others. At the end of the 1960s he played in the Cooperative Band Circle with Chick Corea, Anthony Braxton and Dave Holland as well as with the Sam Rivers Trio with Dave Holland and with the Anthony Braxton quartet with Holland, Georges Lewis or Kenny Wheeler. His familiarity with the tradition also landed him work with the likes of Hampton Hawes, Sonny Criss, Lee Konitz, Art Pepper, Kenny Drew, Tony Scott, Johnny Griffin, Babs Gonzalez, and many others. In addition to this, he led his own free bop groups, with such luminaries as Muhal, Richard Abrams, Anthony Davis, Ray Anderson, Mark Helias, Santi Di Briano, and Uri Caine, to name a few. During a 10-year sojourn in Paris, France he was chosen to be the first foreign artistic director of the French regional big band of Nancy where he conducted as well as composed music for a 20-piece orchestra with arrangements written by his friend, the great Colderage Taylor Perkinson. During that time, he also toured Africa, the Middle East and Eastern Europe as a cultural ambassador for the USIS. Returning to the US in 1993, he worked as a professor at Sarah Lawrence College, freelanced around New York, and played with a Dave Douglas project where he renewed his relationship with Roswell Rudd. 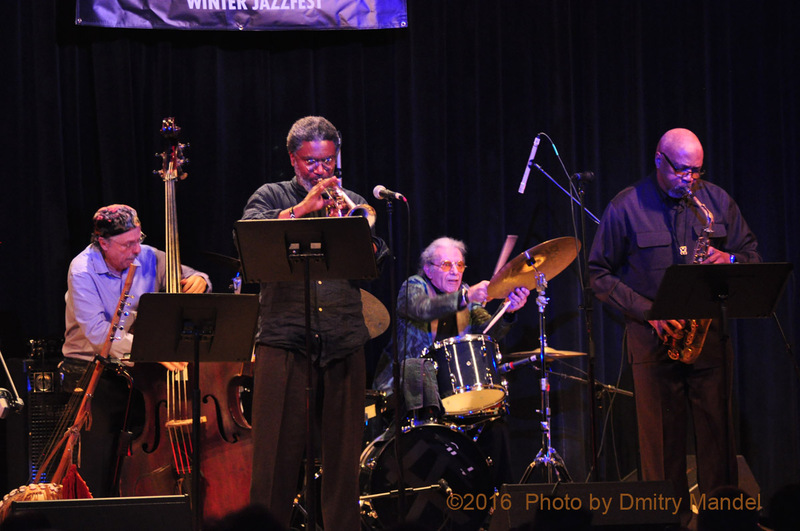 Today, as well as performing with Roswell Rudd’s Trombone Tribe, he is also part of the F.A.B. Trio (Joe Fonda, Barry Altschul and Billy Bang), the Swell-Ullman band and of many projects under his own leadership. Barry has participated in over a 160 recordings, 10 of which under his own leadership. He has studied with Charli Persip, Sam Ulano and Lee Konitz. When asked how his music is best described, he quotes the late great drummer Beaver Harris: “from Rag Time to no time”. His performances have taken him all over the world, playing in major concerts, festivals, nightclubs, and on the radio and television. The son of famous jazz drummer Roy Haynes, Graham Haynes was surrounded by jazz musicians his whole childhood. While his main instrument is the cornet, he is by no means making jazz music these days. He uses technology to create imaginative, subtle sonic environments. Even amidst electronic processing, his horn stands out, providing a level of expression that humanizes and elevates the synthetic sounds. Haynes intermingles compelling, hypnotic horn lines, experimental post-techno rhythms, world music grooves and ambient textures with commendable results. Joe Fonda is a composer, bassist, recording artist, interdisciplinary performer, producer and educator. An accomplished international Jazz artist, Fonda has performed with his own ensembles throughout the United States ,Canada , Europe and Asia. 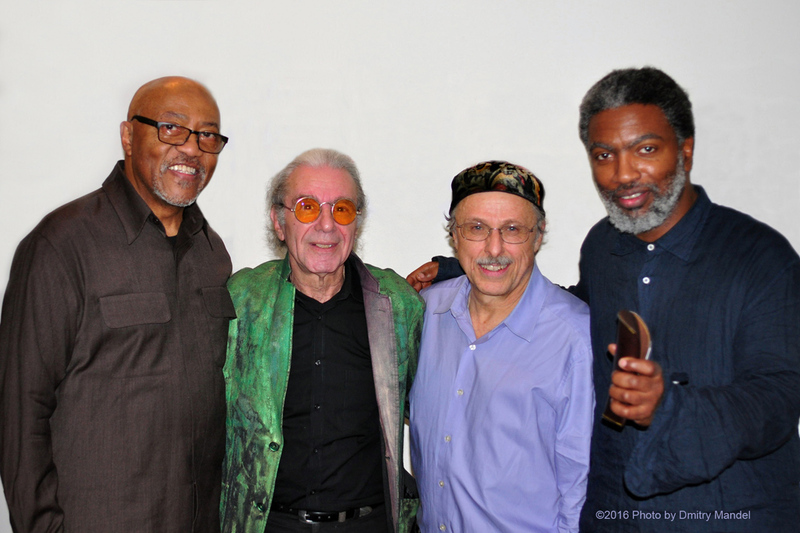 He has collaborated and performed with such artists as Anthony Braxton ,Archie Shepp, Ken McIntyre, Lou Donaldson, Bill and Kenny Barron, Leo Smith, Perry Robinson, Dave Douglas, Curtis Fuller, , Bill Dixon, Han Bennink, Bobby Naughton, Xu Fengia, Randy Weston, Gebhard Ullmann, Carla Bley, Carlo Zingaro, Barry Altschul, Billy Bang. Fonda was the bassist with the renowned Anthony Braxton sextet, octet, tentet, from 1984 through 1999. Fonda also sat on the Board of Directors from 1994 to 1999, and was the President from 1997 to 1999 of the newly formed Tri-Centric Foundation. He has also performed with the 38-piece Tri-Centric orchestra under the direction of Anthony Braxton, and was the bassist for the premiere performance of Anthony Braxton’s opera, Shalla Fears for the Poor, performed at the John Jay Theater in New York, New York, October 1996. As a composer, Fonda has been the recipient of numerous grants and commissions From Meet the Composer New York and the New England Foundation on the Arts . He has released twelve recordings under his own name. (Reviews and recordings available). Fonda was also a member of The Creative Musicians Improvisors Forum directed by Leo Smith, and was the bassist with the American Tap Dance Orchestra in New York City, directed by world renowned tap dancer, Brenda Bufalino.